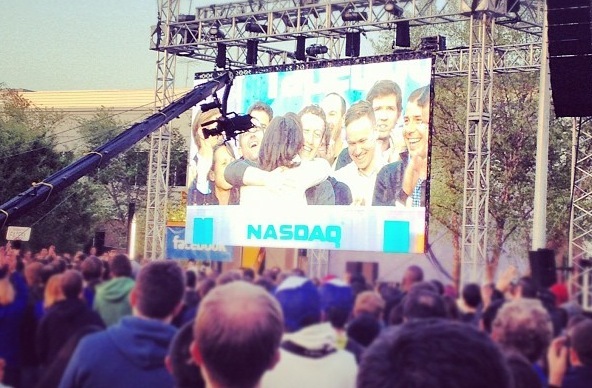 The Facebook IPO opened hot and heavy in trading on its first day, with an opening price of $38, a spike to $42 and a closing price of $38.37. According to CNBC, it also became the first IPO to see 500,000,000 shares change hands in the first day of trading. Just 30 seconds after trading, some 82 million shares had changed hands, spiking to 100 million in just 5 minutes. The pricing for the IPO was set just yesterday, at $38 per share. Given the hype in advance of the trading, it’s surprising that the price didn’t spike more and indicates that the IPO was actually priced very well, netting Facebook its influx of cash, but not benefiting early traders much. Facebook’s IPO is the largest ever for a technology or Internet firm, and the second largest in US history, with Visa coming in slightly above.